"Written in the tradition of two classic but different memoirs, Maxine Hong Kingston's The Woman Warrior (1976) and Julie Powell's Julie & Julia (2005), the book is a recipe in itself—a dash of conjuring the ancient stories of one's past, a sprinkling of culinary narrative. The result is a literary treat. . . . A delightful take on the relationship between food, family and tradition." "Her prose is breezy, and her descriptions of duck soup and pineapple tarts entice. But the meat in this memoir is what Tan learns about her resilient family, whose members come together both to cook and to heal." "This memoir is less controversial, more inspirational than Amy Chua's fiery book on Chinese parenting. ... Tan's tiger qualities reveal themselves in her fierce determination to draw her past into her present, to slow down, to learn how to make the food of her childhood." "Tan’s A Tiger in the Kitchen is reminiscent of Elizabeth Gilbert’s Eat, Pray, Love, yet the author’s determination to master her grandmothers’ and aunts’ recipes also echoes the triumphs and struggles in Julie Powell’s Julie & Julia. Above all, A Tiger in the Kitchen is a tale of reconnecting with family and tradition—with the fried rice and flaky pineapple tarts that define Singaporean culture—and of food’s sensorial power to connect us to our pasts." "A loving culinary memoir about a woman's quest to understand her identity and her ancestry by cooking with the women of her family." "Intergenerational dynamics, cultural misunderstandings and culinary blunders all contribute to the story, but the book's focus rarely shifts from the food itself. Tan's simple, loving descriptions of traditional dishes make the mouth water." "Tan has written some of the most appetizing passages in recent food writing, about mooncakes and braised duck and, of course, the exalted pineapple tarts that started it all. ... A Tiger in the Kitchen preaches a surrendering of that control in favor of experimentation, occasional vulnerability, and ultimate self-discovery." "Personal and culinary culture rides into another place and time—juicy, evocative and thoroughly entertaining and served up with a side of humor." "A Tiger in the Kitchen is an important food memoir and relatable to anyone who feels something missing from their own lives — a life force link to their culture and the desire to pass it along." "Her culinary misadventures and apprenticeships in the kitchen are told with wit and verve. The loving descriptions of food ... get the salivary glands racing." "Besides being full of life with interesting and funny stories and some insight into Singaporean culture, A Tiger in the Kitchen also offers some tasty recipes for readers to try in their homes. So sink your teeth into this book." "A tasty blend of gastronomic colour and family anecdotes ...descriptions of family feasts and hawker treats that just skirt the edge of gastronomic erotica. Tan's competent prose is elevated to poetry by her honest yearning for home-cooking and affection for the relatives who teach her." "A warm, witty chronicle of growing up and finding one's place between cultures." "'Tiger' is both a frothy cocktail and a delicate family tale that shifts from continent to continent, past to present and culture to culture ... Tan's journalism background comes to the fore with clear, detailed writing, bringing us to a tempting table laden with exotic treats." 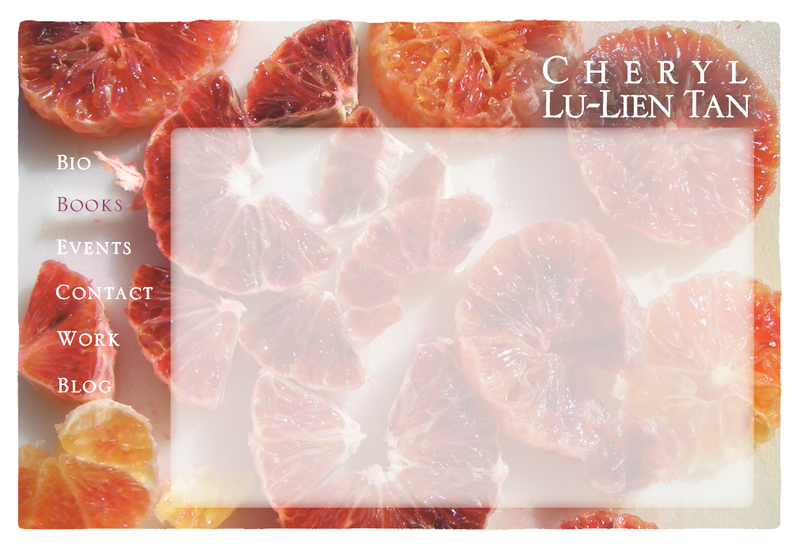 "Though set against a backdrop of finding her Chinese-Singaporean roots through her family’s favorite dishes, Cheryl’s is a relatable story of life’s true priorities making themselves known when and how you least expect it. ...The chatty, sweet and funny tone of A Tiger in the Kitchen is only augmented by the 10 recipes for Singaporean dishes she so lovingly describes." "It is at once a culinary odyssey and a journey towards reconciliation with her roots and her culture." "Often self-deprecatory, Tan communicates her own frustrations with her inability to cook with a personable sense of humor. Her vividly sensory descriptions of the smells of the kitchen also manage to induce sudden salivation and hunger pangs without dipping into heavy-handed metaphor." "The contrasting narratives of her life as a fashion journalist and her foray into the unpredictable and instinctual styles of cooking in Singapore (not to mention the hunger-inducing descriptions of the dishes she tackled) kept us sated through the final page." "Tan’s beloved pineapple tart, like Proust’s crumbs of tea-soaked madeleine, evokes a history and a family life that has all but disappeared..."
"A wonderful culinary memoir, a taste-history of food, tradition, and family secrets. Readers “taste” Cheryl Tan’s heritage through her intimate chronicle of Singapore flavors and smells. In this mouth-watering book, Tan makes her way through New York’s Singaporean restaurants and heads home to learn the “how to’s” of fried crab, peppery pork rib broth, and Hainanese Chicken Rice – delicious!" "Engrossing memoir ... a delightful story." "Cheryl Tan's memoir takes us beyond the kitchens of her culture right into the recesses of our hearts. In her story, we see our own families -- and our memories of the meals that help define who we are." "Cheryl Tan, a Tiger in the Kitchen, keeps coming back to Singapore in pursuit of the haunting flavors of childhood meals and finds a part of herself she didn’t know existed in the kitchens of her loving aunties,"
"Starting with charred fried rice and ending with flaky pineapple tarts, Cheryl Lu-Lien Tan takes us along on a personal journey that most can only fantasize about -- an exploration of family history and culture through a mastery of home-cooked dishes. Tan's delectable education through the landscape of Singaporean cuisine teaches us that food is the tie that binds." through the language of the kitchen in this ultimate cure for culinary homesickness,"
"This book about food, culture and ethnic ties is written with an openness that will endear Tan to her audience. Readers who enjoyed the memoir Tender at the Bone: Growing Up at the Table by food critic Ruth Reichl will also enjoy A Tiger in the Kitchen." "'A Tiger in the Kitchen tends to evoke our own memories of family and food that we hold dear. This was some of the most enjoyable arm-chair traveling I've done in a long time and it left me hungry for more." 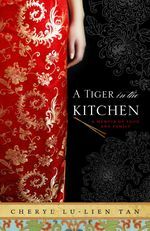 "A TIGER IN THE KITCHEN is a mouth-watering true tale of one woman's reconnection with her roots and the cuisine of her formative years. ... As you read it, you'll find yourself considering the food of your younger days, no matter what your heritage, and remembering with love those who prepared it for you."